Sometimes, you may need to provide PCAP files to third-party organizations like a vendor support team to investigate a problem with your network. I was looking for a small tool to anonymize network traffic but also to restrict data to packet headers (and drop the payload). Google pointed me to a tool called ‘TCPurify’. It truncates almost all packets immediately after the last recognized header (IP or Ethernet), removing all data payload before storing the packet. It has the capability of randomizing some or all IP addresses (based on the network portion of the address) to mask exactly where packets are where or to while still retaining some general idea. What about the anonymization of the packets? There are different modes offered: “none” (does nothing, default), “nullify” (replace all IP addresses with 0.0.0.0) or ‘table’. This one is the most interesting. It allows defining which subnets will be anonymized using filters. Those filters are save in a map file to be able to reconstruct the original PCAL if required later. The ‘table’ mode requires an extra argument, 'mapfile' which will point to the filename that will contain the mappings. The tool is not perfect and does not follow modern standards. For example, it does not allow reading PCAP data from stdin and writing to stdout but it can be helpful in many cases. It deserve to be added to your toolbox. 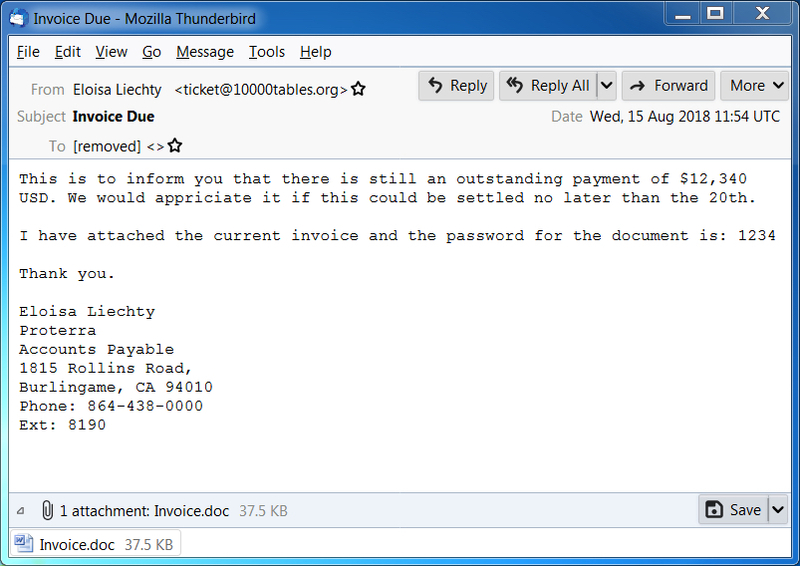 This is a follow-up to a previous diary from last month on malicious spam (malspam) distributing password-protected Word docs with malicious macros designed to infect vulnerable Windows computers with ransomware. Today, I found five examples of malspam with password-protected Word docs using 1234 as the password. 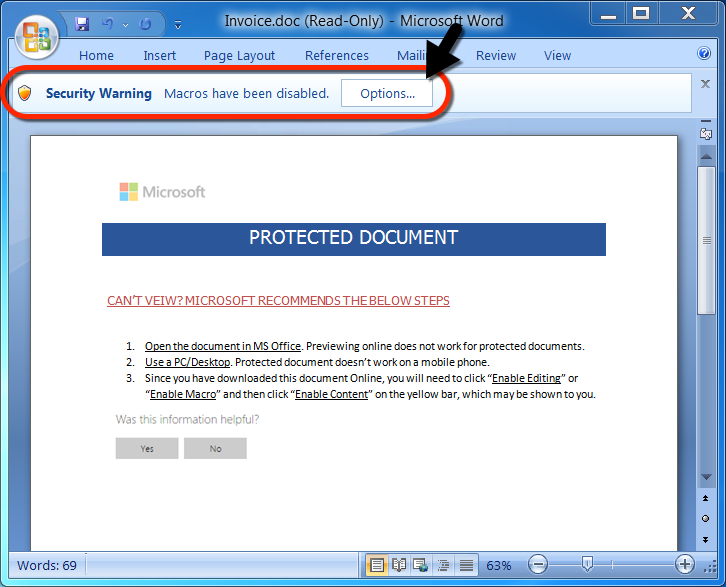 The Word doc had a malicious macro that retrieved AZORult malware. 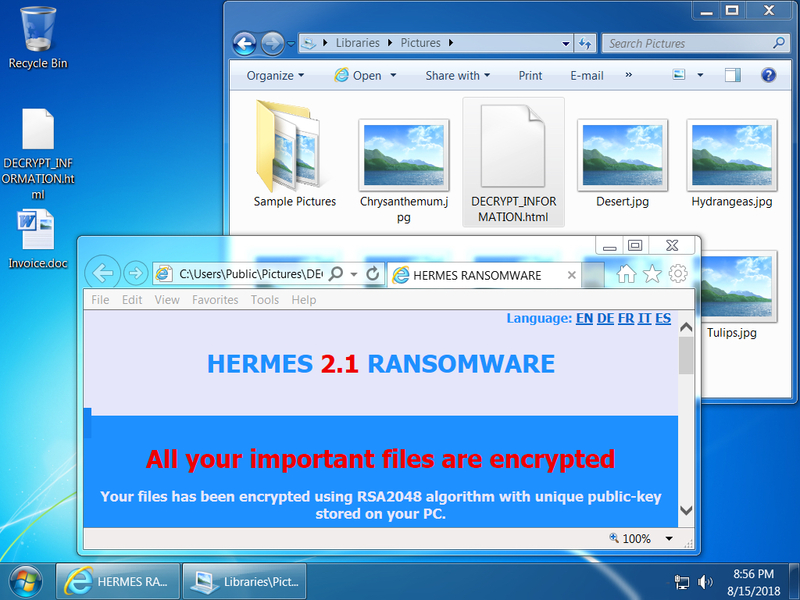 The AZORult malware conducted callback traffic, then the infected host retrieved Hermes ransomware. Shown above: Screen shot of a malspam example from today (1 of 2). Shown above: Screen shot of a malspam example from today (2 of 2). Shown above: Opening the password-protected Word doc on a Windows host. 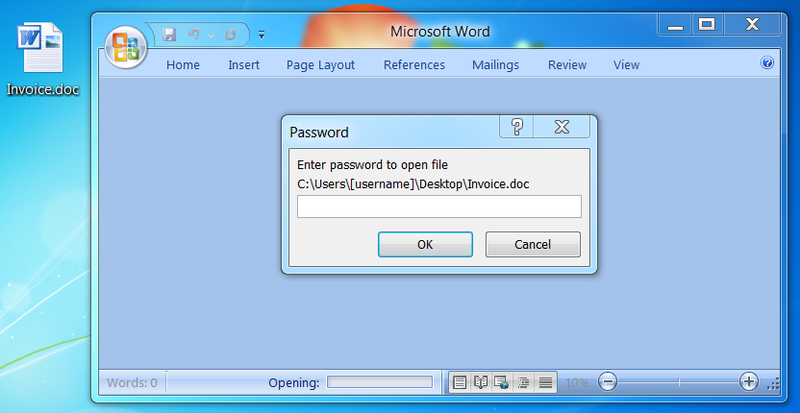 Shown above: After entering the password, a victim must enable macros. Pcap and malware associated with today's diary can be found here.